Located at the southern-most tip of Peninsular Malaysia, Johor Port is strategically positioned in the heart of the sprawling 8,000 acre Pasir Gudang Industrial Estate. The area is home to a comprehensive range of industries specializing in petrochemicals, engineering, furniture, telecommunications, electronic goods and food products among others. Johor Port is linked to important commercial and industrial centers in Malaysia as well as other ports and neighboring countries. This network is supported by the nation's road infrastructure and rail connections. Join one of the most exciting and progressive companies in Malaysia as we broaden our horizons beyond our well established services in logistics and port operations. 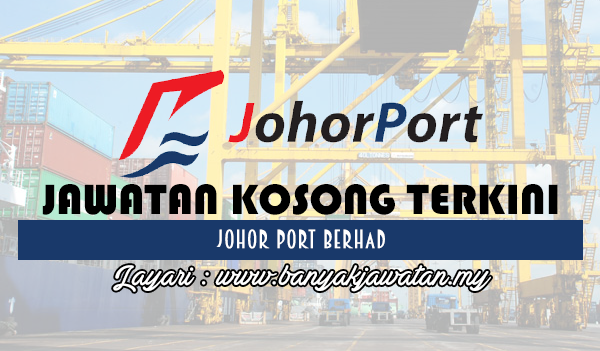 0 Response to "Jawatan Kosong di Johor Port Berhad - 20 November 2017"